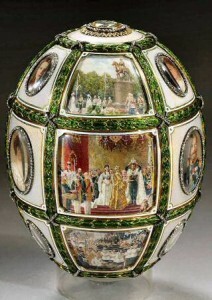 In this post I will discuss the men behind the House of Faberge and the history of the company. 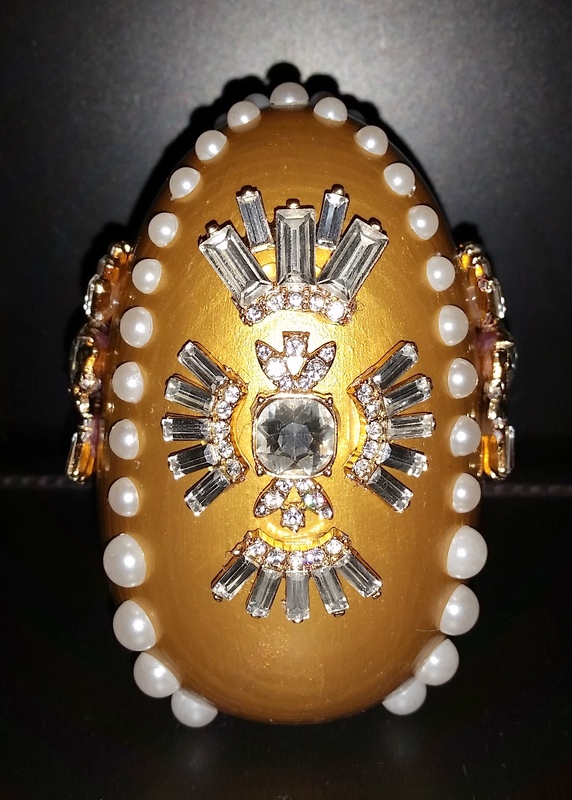 In addition to the Imperial Eggs, Faberge created a variety of items ranging from jewelry pieces to decorative boxes and desk sets to cigarette cases and perfume bottles to photograph frames and timepieces to semi-precious stone and floral figurines. I will show some examples of these beautiful pieces. 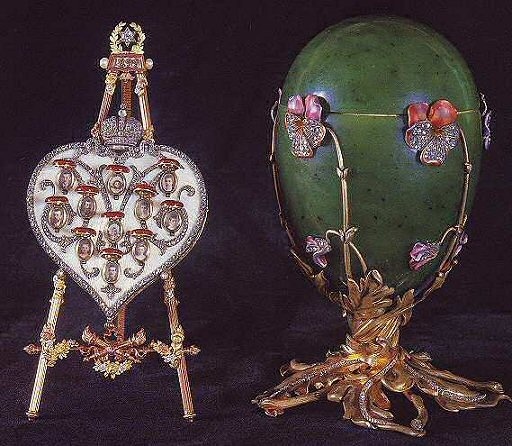 But as most things will come to an end, I will discuss what happened to the House of Faberge and to Peter Carl Faberge and his family in the years after the Russian revolution. In the early 17th century, the Favris family was living in the small village of La Bouteille located in northern France. After the revocation of the Edict of Nantes by King Louis XIV hostilities erupted between the Catholics and the Protestants (also known as Huguenots) and for this reason the Favris family left the country in 1865 because of religious persecution. 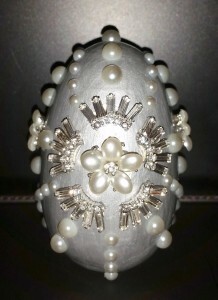 Over time, as the family progressed east across Europe settling near Berlin, Germany and then in the early 1800s in Pernau in the Baltic province of Livonia, the name of Favris eventually changed to Faberge. 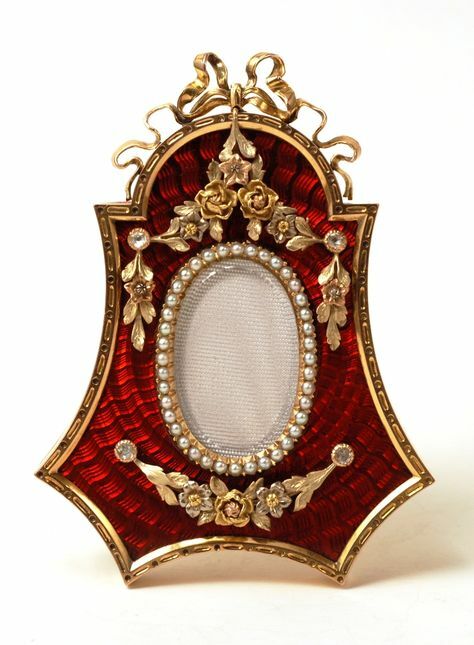 In the 1830s, Gustav Faberge (1814–1893) moved to Saint Petersburg located in Imperial Russia to work as a goldsmith, When his apprenticeship with Andreas Spiegel was completed Gustav had earned the title of Master Goldsmith. 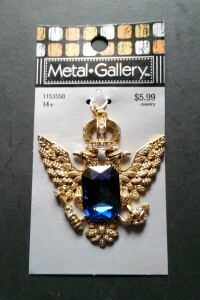 In 1842 he opened a small retail jewelry store. 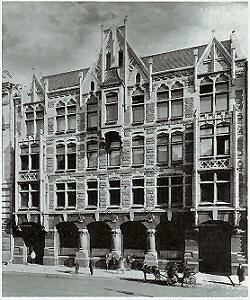 Later that year he married Charlotte Jungstedt and they had a son named Peter Carl who was born in 1846. 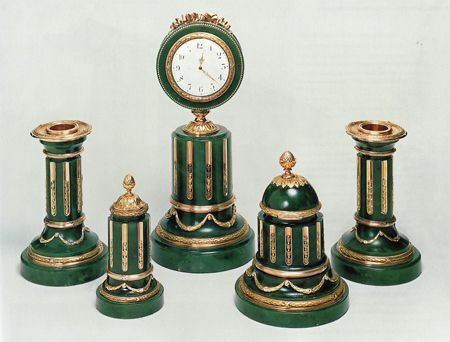 Throughout the following years The House of Faberge proved to be a very prosperous business allowing Gustav to retire in 1860 and the family moved to Dresden located in southern Germany. The Saint Petersburg store in Russia remained open and managed by Peter Hiskias Pendin. After arriving in Dresden, Gustav and Charlotte had a second son named Agathon who was born in 1862. 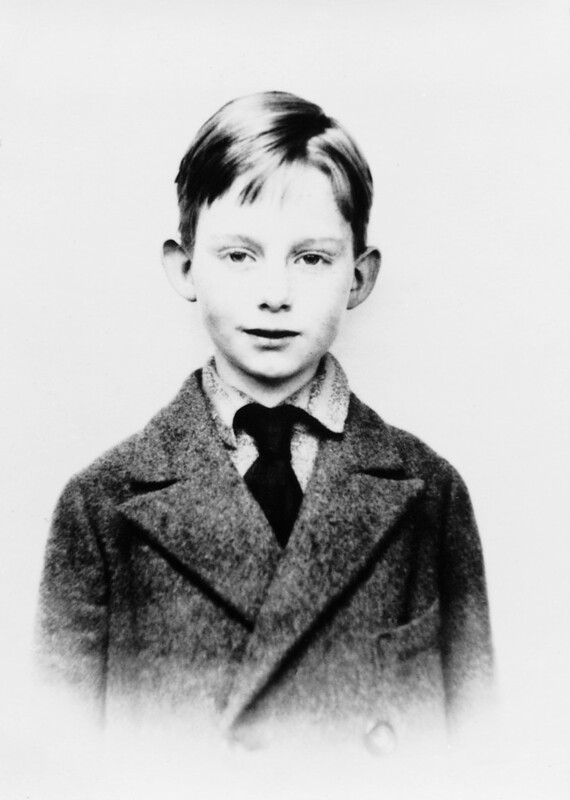 Meanwhile, Gustav’s oldest son, Peter Carl, had completed his formal education in Dresden and was gaining his business experience by serving his apprenticeship under the guidance of renowned goldsmiths in Germany, France and England. 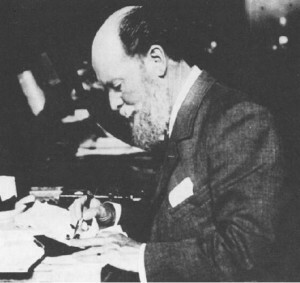 Peter Carl then returned to Saint Petersburg to begin his work at the House of Faberge which had now developed a respected business reputation for quality work and craftsmanship that attracted numerous affluent customers. By 1881, the company had outgrown their small store and moved to a large building on the Bolshaya Morskaya in Saint Petersburg. 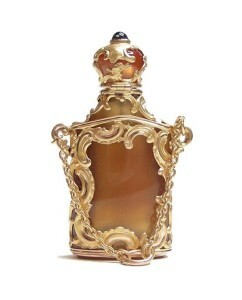 In 1882, with the death of his mentor Pendin, Peter Carl took over sole responsibility for the House of Faberge. 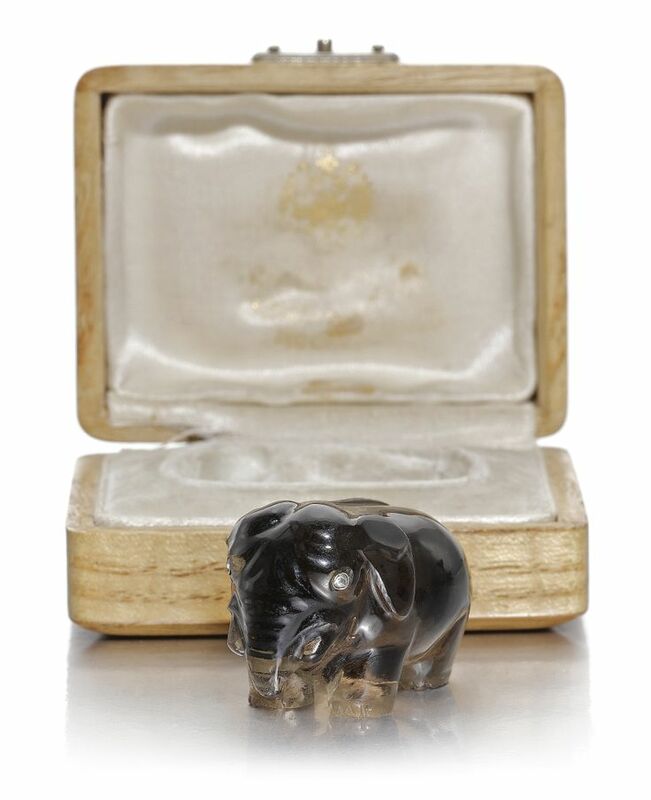 By this time, his younger brother Agathon had joined him in Saint Petersburg and he was a talented designer who created numerous sketches and wax models so that every jeweled piece would be perfectly crafted with special attention given to every minute detail. 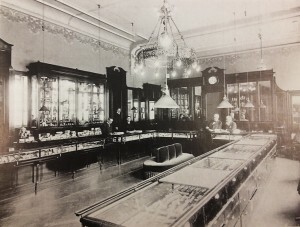 At the Pan-Russian Exhibition in Moscow, the brothers caused a sensation with their finely crafted jewelry and decorative items, they received the prestigious gold medal. Tsar Alexander III was so impressed with some of the Faberge pieces displayed at the Exhibition that he granted them the title of Goldsmith by special appointment to the Imperial Crown. Faberge was given full access to impressive Hermitage Museum collection which inspired him to revive the lost art of enameling. 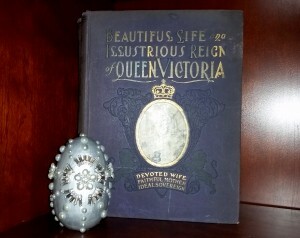 The Imperial Eggs may be the best known items made by the House of Faberge but with their fine designs and expert techniques they also created numerous types of decorative art objects for the home as well as continuing with their line of exquisite jewelry pieces. 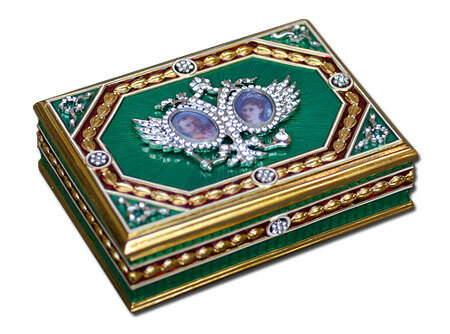 Made in gold or silver, enameled and embellished with precious and semi-precious jewels some of the items created were decorative boxes and desk sets, cigarette cases, perfume bottles, photograph frames and timepieces. Shown below are a few examples of these types of items. 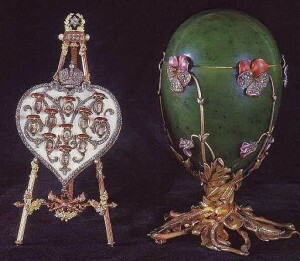 Some of the most popular items created by Faberge were their miniature carvings made from semi-precious stones and embellished with gold or silver and semi-precious stones. Some of these hardstone carvings included animal figures such as elephants and pigs. 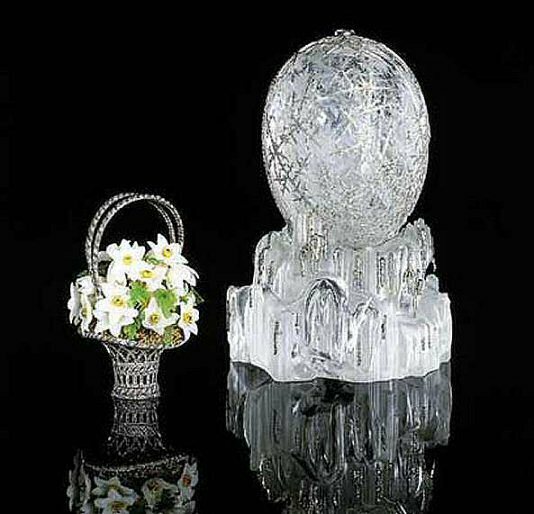 Other items included flower sculptures which featured intricate carved semi-precious stone flowers set in small vases with clear rock crystal or quartz used to simulate the water in the vase. Shown below are a few examples of these types of items. 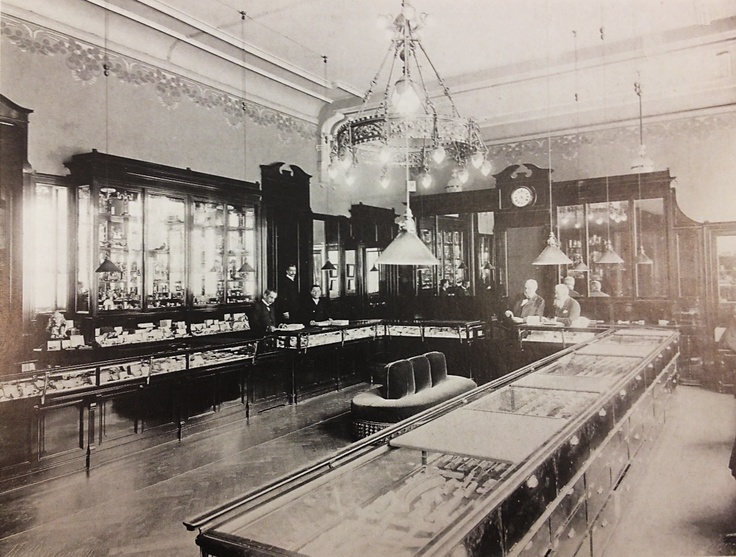 Business was so successful that the House of Faberge opened additional stores in Moscow, Odessa, Kiev and London. With over 500 craftsmen and designers in their employment, Faberge produced between 150,000 to 200,000 objects between 1882 and 1917. Faberge’s work was put on display to represent Imperial Russia at the 1900 World’s Fair in Paris. The House of Faberge did not compete in the event but it still received a gold medal in recognition of their superior work. Peter Carl Faberge was given the most prestigious French award of a knight of the Legion of Honor. 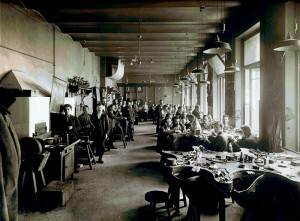 In 1917, in the midst of World War I, Imperial Russia was in a state of crisis due to poor working conditions, high inflation, social unrest and severe poverty. On March 15, 1917 Tsar Nicholas II was forced to abdicate and he and his family were placed under house arrest. By the fall of 1917, the Russian provisional government was overthrown by the Bolsheviks and by the spring of 1918 civil war had broken out across the country. On July 17, 1918, the Tsar and his family were murdered by the Bolsheviks in Yekaterinburg, Russia. This tragedy brought about the end of more than three centuries of the Russian Imperial rule by the Romanov dynasty. During this turbulent time, Peter Carl Faberge and his family fled to various parts of Europe, two of his sons were imprisoned in Russia. The new government eventually seized control of the House of Feberge and the stores were ransacked and their contents disappeared. The contents of the Russian Imperial palaces were confiscated by the Bolsheviks. 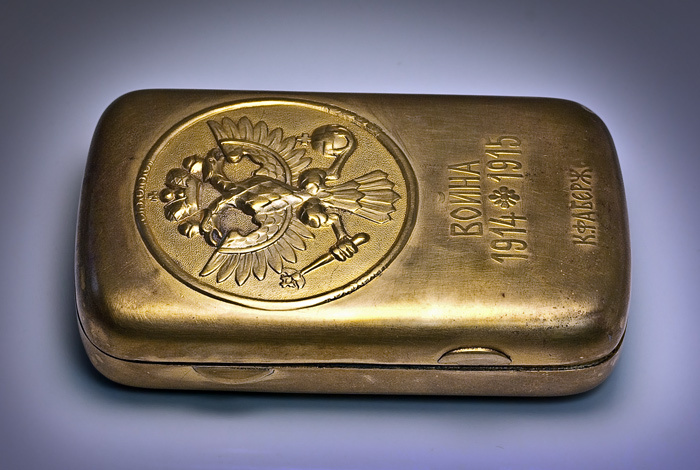 Large amounts of Imperial gold, silver and jewels were inventoried, packed in crates and taken to the Kremlin Armory in Moscow by order of Vladimir Lenin. 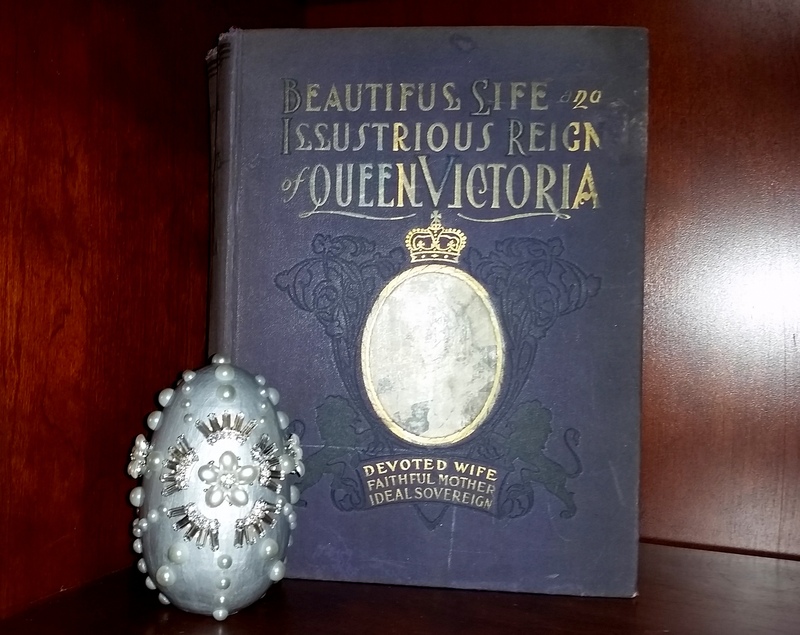 Most of the Faberge Imperial Eggs went to the Moscow, some had disappeared during the uncontrolled looting of the palaces and the Dowager Empress was able to escape with one Faberge egg, the Order of St. George Egg. By 1927, Joseph Stalin had come to power in Russia and the vast Imperial treasures were rediscovered in the storage rooms of the Kremlin. 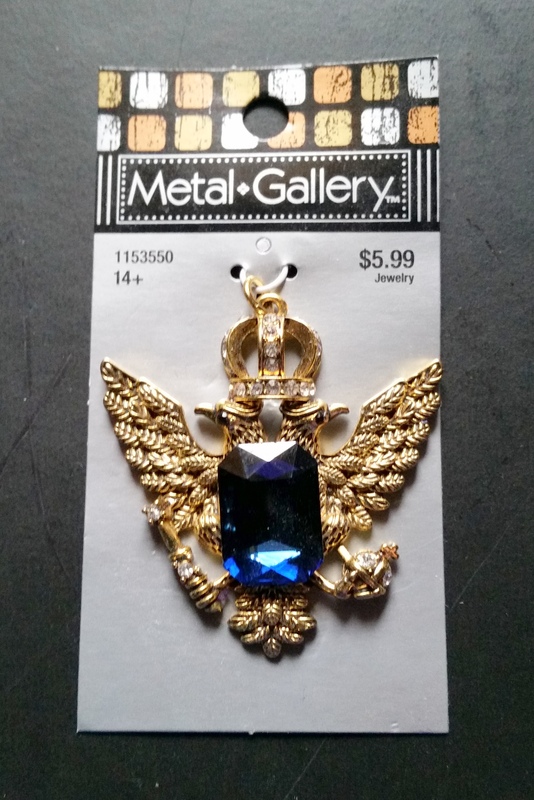 Desperately in need of financing to support his new communist regime Stalin ordered that the Imperial Crown Jewels be appraised and then sold. 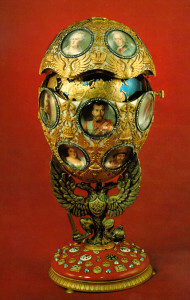 In a strange twist of fate, Peter Carl Faberge’s son, Agathon, who was currently being held in a Russian prison, was released to evaluate the value of the individual pieces of the Imperial treasures held at the Kremlin Armory. 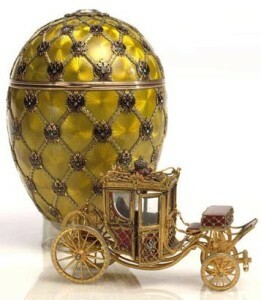 Between 1930 and 1933, fourteen of the Faberge Imperial Eggs were sold and sent to Paris and London. 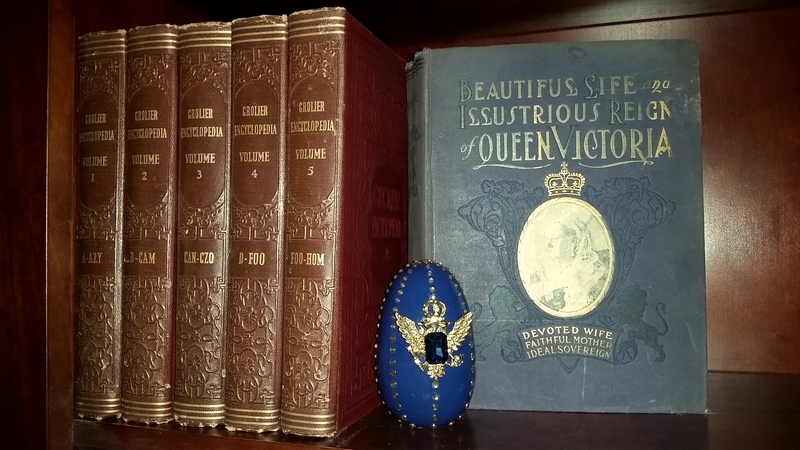 Ten of the Faberge Eggs were bought by Armand Hammer, an American entrepreneur, a socialist sympathizer and a personal friend of Lenin. 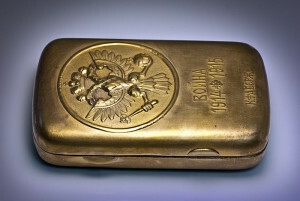 He recognized that the treasures of the Romanov dynasty needed to be preserved and he purchased thousands of items including Russian jewels and artwork. 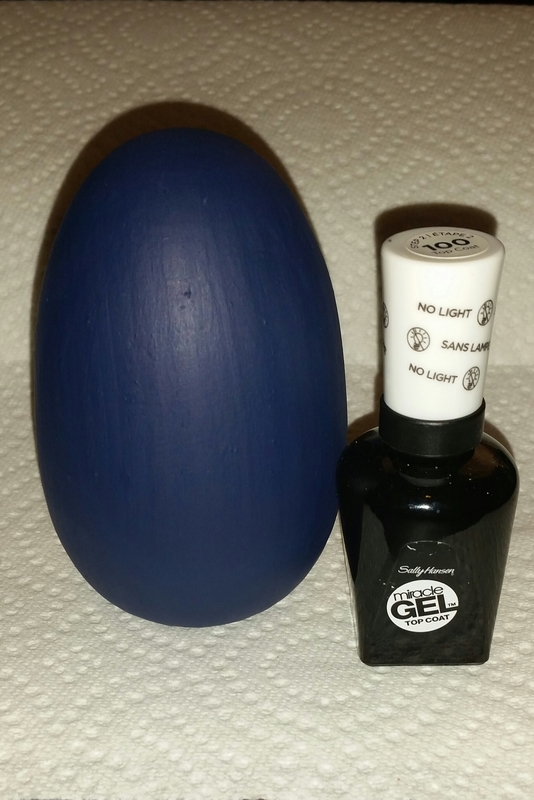 His intent was to sell them in the United States but at the time the country was in the midst of the Depression and at first there was very little interest in purchasing such expensive items. 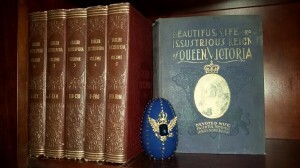 Some of the Faberge Eggs were sold at auction for only four or five hundred dollars. 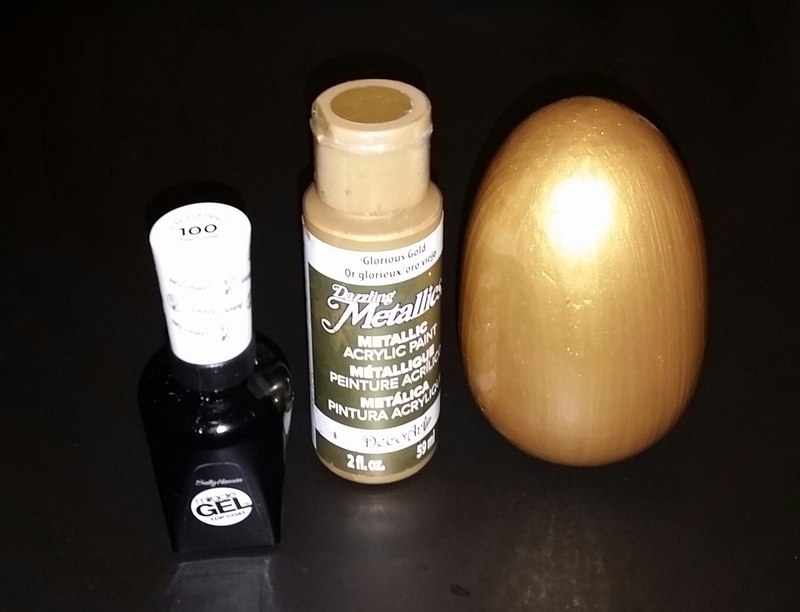 Finally after several years the quality of these magnificent pieces of art was fully recognized and the price dramatically increased and the Faberge Eggs are now valued in the millions of dollars. 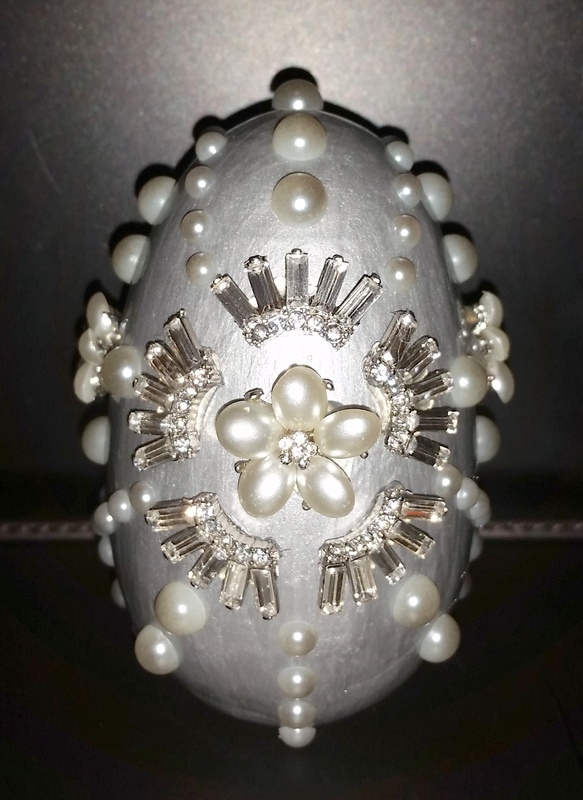 Throughout the years many wealthy Americans and Europeans have acquired the Faberge Eggs, some of those collectors have included Marjorie Merriweather Post and Malcolm Forbes. 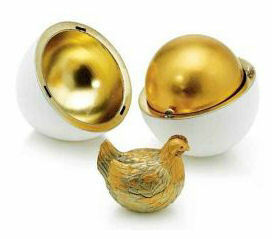 Currently of the 54 Imperial Eggs made by Faberge, only ten remain in the Kremlin. 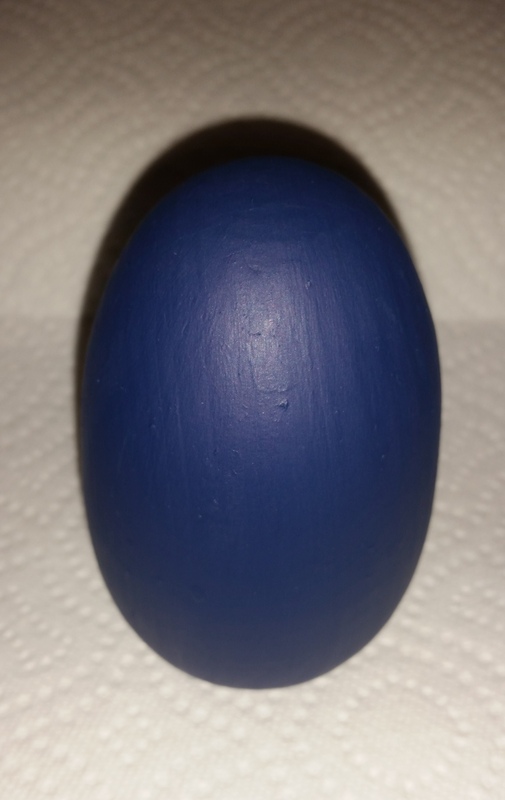 The remaining ones are displayed in museums throughout the world or held in private collections and eight of the Imperial Eggs are still missing. Peter Carl Faberge married Augusta Jacobs in 1872 and they had four sons: Eugene, Agathon, Alexander and Nicolas. 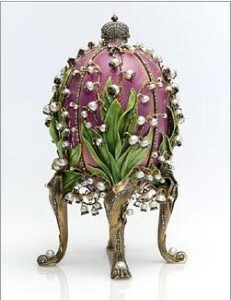 After the Bolsheviks revolution in 1917, with the help of the British Embassy, Peter Carl Faberge escaped from Russia traveling by train to Germany. 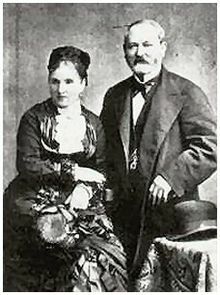 He was later joined by his wife, Augusta and their oldest son, Eugene who had also escaped from Russia. While in Germany, Peter Carl finally received confirmation that the Tsar and his family had been brutally murdered by the Bolsheviks. 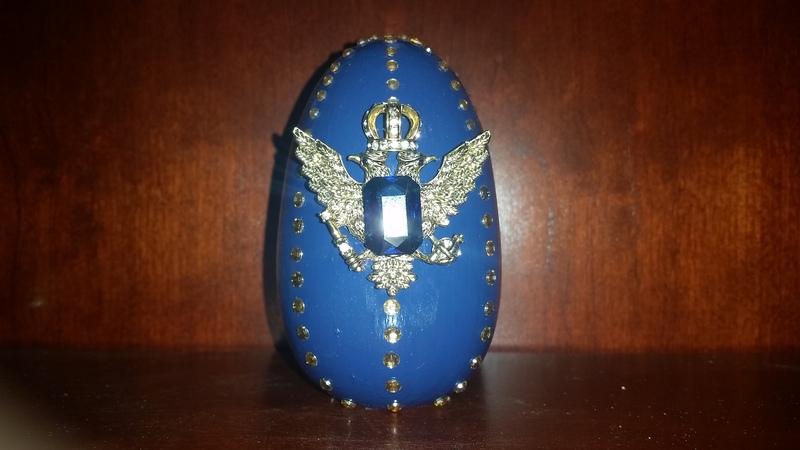 Peter Carl was devastated at the loss of his personal friend, with the additional loss of several other members of the Imperial Family and the confiscation of the House of Faberge by the new government, Peter Carl realized he would never return to his beloved Russia. His family was very concerned when he became gravely ill and he traveled with his son Eugene to receive medical treatment in Lausanne Switzerland, his wife remained in Germany. Sadly, Peter Carl died in 1920 and followed by his wife Augusta in 1925. 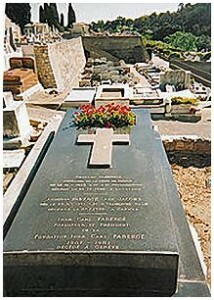 Several years later, in 1929, Eugene took his father’s ashes from Lausanne and had them buried in his mother’s grave at the Grand Jas Cemetery in Cannes, France. Agathon (1876–1951) the second son was imprisoned by the Bolsheviks and after the revolution, under orders from the new government, he was released in 1921 to work on appraising and cataloging the Imperial Royal Crown Jewels collection while under constant supervision and surveillance. Eventually, Agathon with his first wife Maria (Borzova) and their son Oleg were able to escape from Russia in 1928. He eventually settled in Finland, studied philately and lived a relatively quiet life. Agathon remarried and his second wife, Lydia (Trueber) had five sons named Agathon, Peter, Fedor, Igor and Rurik. 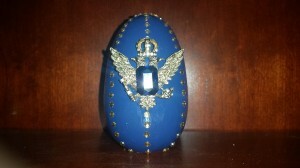 Agathon Faberge died in Helsinki, Finland in 1951. 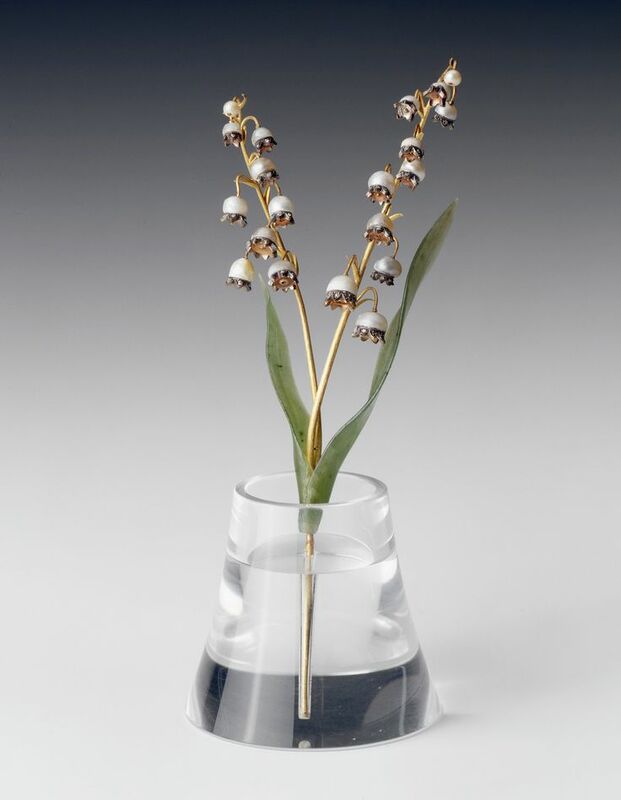 Nicolas (1884–1939) the fourth son went to England in 1906 to work at the House of Faberge location in London and he was still there in 1917 at the time of the Russian revolution. Afterwards, he chose to remain in England and not join his family in Europe. He married Marion Tattershall and they had no children. Later, Nicolas became a photographer and he had a relationship with Doris Cladish whom he had previously met when they worked together at the Bond Street branch of Fabergé. 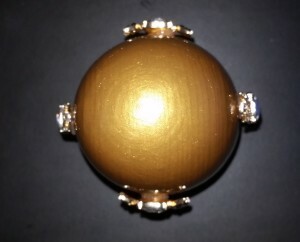 Doris and Nicolas Fabergé had a son Theo in 1922. Nicolas died in Paris France in 1969.